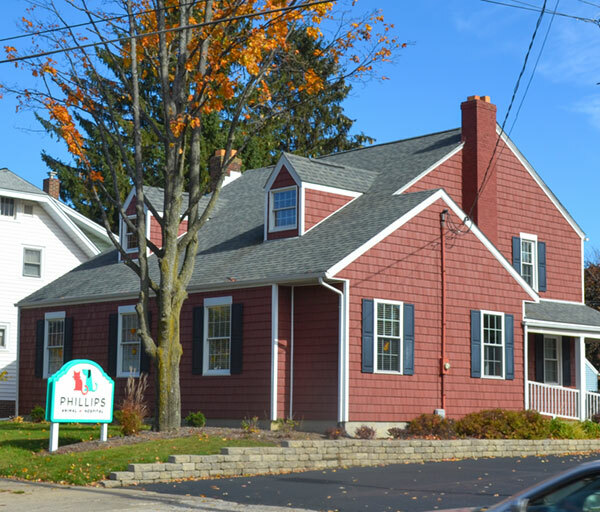 Since Dr. Phillips opened our vet clinic in 1973, Phillips Animal Hospital has been providing exceptional client service and veterinary health care at an affordable price. Our goal is to make each visit as comfortable as possible for you and your pet. Our veterinarians and staff are passionate about veterinary medicine and devoted to providing a welcoming, friendly environment. We treat you and your dogs, cats, birds, lizards, rodents, rabbits and exotic pets with compassion and respect. We strive to maintain a peaceful environment so that your visit is as stress free for you and your pet as possible. Our staff cares a great deal about every issue that affects your pet’s health and will work with you to make the best decisions regarding his or her quality of life.